Imagine being an up and coming Scientist. You've been working hard in a laboratory, collecting data and evidence. You need funding to keep your job and research going. You need to show other Scientists what you have been working on. Except that time is limited at conferences, only so many people can talk in a day or two. You also have more data than can be meaningfully shown in a short conference talk. 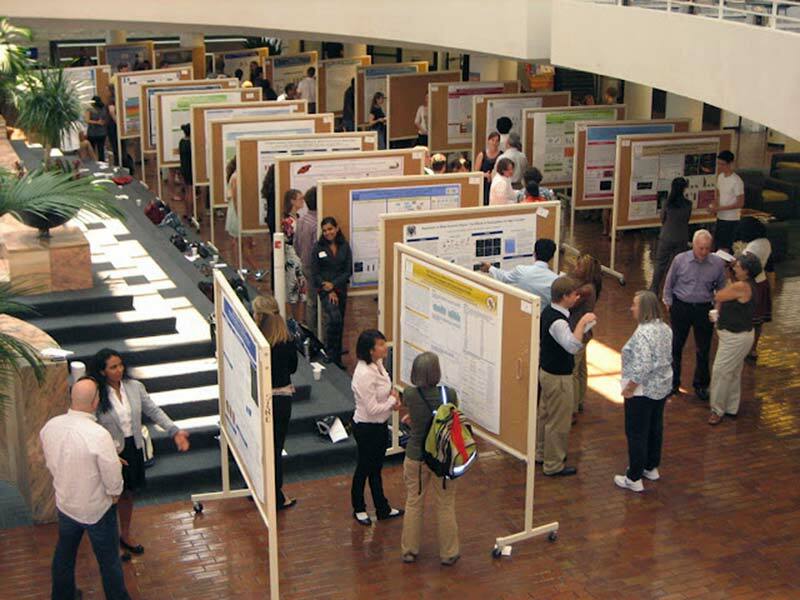 Scientific Poster Sessions have solved this problem by giving Scientists an opportunity to display their work, visually, during a session where all people attending the Conference can go and see them. 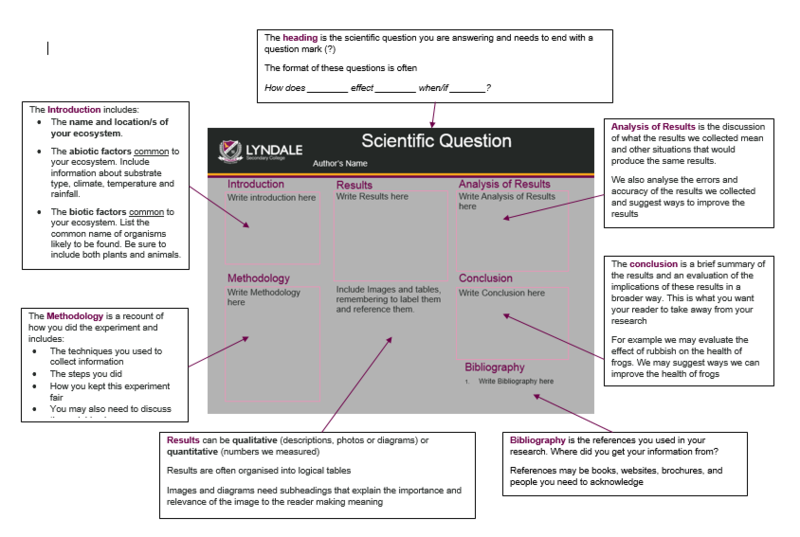 If you have a engaging poster, it is more likely that someone will stop to look at it. If your Scientific Question captures their interest, they are likely to read your poster. This could result in more money (funding) for your project, so its important to get it right! Scientific Posters are a relatively new format of communication in Science and there are many examples of professional Scientific Posters online that you can use as examples. There are examples being produced in school too, by the Senior Science students as it is now an important requirement in Physics, Chemistry, Psychology and Biology in VCE. This poster will print A3 size so its OK to read if your text is 10-12 size.